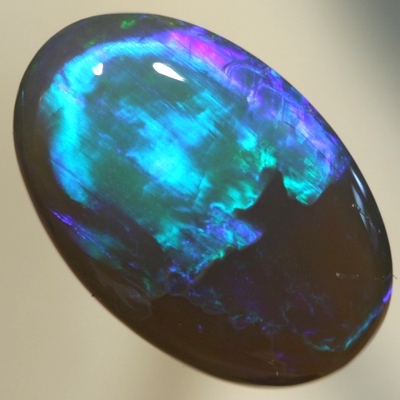 This SOLID BLACK CRYSTAL Opal is from the Lightning Ridge mining fields in <?xml:namespace prefix = st1 ns = "urn:schemas-microsoft-com:office:smarttags" />Australia. 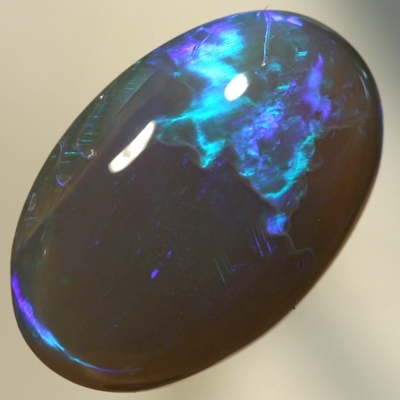 The colour play in this opal is saturated with the richest, strong colours. 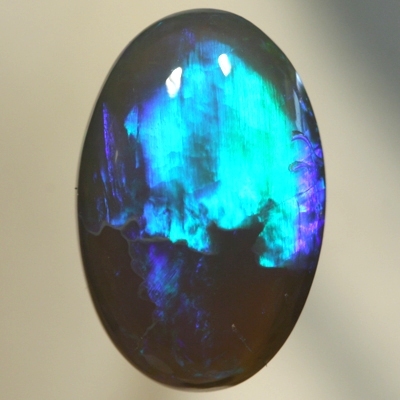 Lovely deep ocean green, forest green, several hues of green turquoise and a beautiful peacock blue with a purple background. 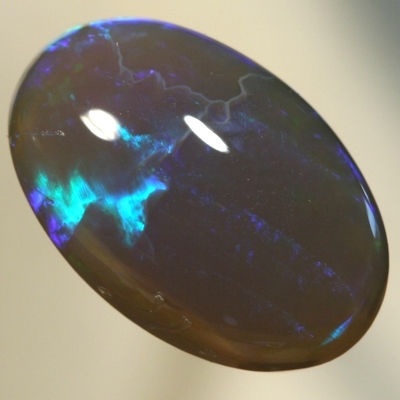 The colours move in two large rolling flashes moving up and down the opal face. 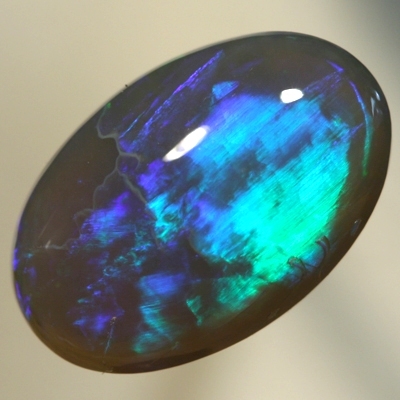 With a high dome, this stunning and beautiful gemstone is ready to be made into a gorgeous piece of fine jewelry.